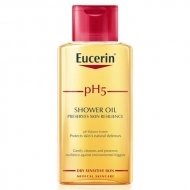 Cleans gently and rebalances the genital flora;Respects the natural pH;It does not irritate or cause burning. 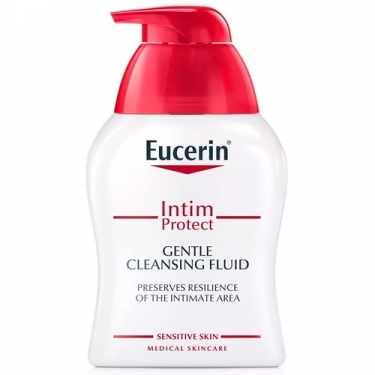 PH5 Gentle Cleansing Fluid from Eucerin is a daily intimate hygiene care for external use, especially indicated for women with irritations or discomfort, propensity for genital and urinary infections and for women with hormonal changes during the period of menstruation, pregnancy or menopause. Formulated with lactic acid and bisabolol that preserve the balance of the skin and help prevent irritations and infections. 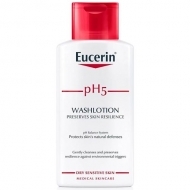 It also contains a mild cleaning base of pH 4.5 that gently cleanses the skin without irritating it. 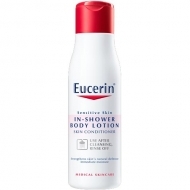 Can be used in the shower or bath;Apply a small amount to the intimate area and rinse thoroughly;Suitable for daily use.